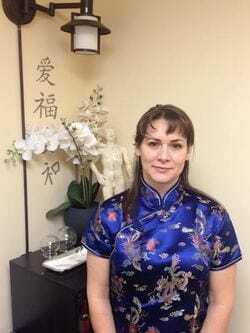 As one of only a few formally trained and certified Traditional Chinese Medical (TCM) acupuncturists in the City of Greater Sudbury, Beth-Anne Kucheran offers services designed to restore physiological function and mind-body balance. I am a graduate of the Academy of Chinese and Oriental Science in Nelson, BC I am also certified in Jin Shin Do 5 Elements Acupressure, from the Canadian Acupressure and Shiatsu College in Victoria, BC, and Medical Qigong through the University of Beijing. During my years of Traditional Chinese Medical studies, I have worked in remote communities of Northern BC, Work Channel (BC), Nelson (BC) and Higher Health Clinic in Fort McMurray (AB) before opening my own practice here in the Greater City of Sudbury. I was in a serious motorcycle accident in 1996 that left me with a major head injury, multiple broken bones, soft tissue and neurological damage. I was struggling to manage simple daily activities. Acupuncture treatments with a qualified Acupuncturist helped remove the pain, eliminate the PTSD, and help me regain daily activities. My interest to become an acupuncturist began after my second treatment. In 2014, I won first place for the Master's category in The Sudbury Classic Fitness Competitions held here in Sudbury. I know first hand that with the right support, the body and mind can heal. In addition to my private practice, I am a certified Rock Steady Boxing for Parkinson's Disease coach and boxing club coach level 1 at Top Glove Boxing Academy. My education and experience help see beyond surfacing symptoms to heal the underlining problems you are experiencing to ensure an overall healthier you. I encourage and empower others to take control of their physical, mental and emotional wellness by self-awareness of lifestyle behaviours and nutrition.